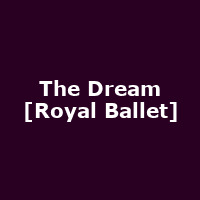 "Frederick Ashton?s The Dream is based on William Shakespeare?s A Midsummer Night?s Dream. The ballet had its premiere in 1964 as part of a Royal Ballet programme commemorating the 400th anniversary of Shakespeare?s birth. The roles of Oberon and Titania were created for Anthony Dowell and Antoinette Sibley, marking the beginning of their enduring and celebrated dance partnership."